What are you cooking tonight? 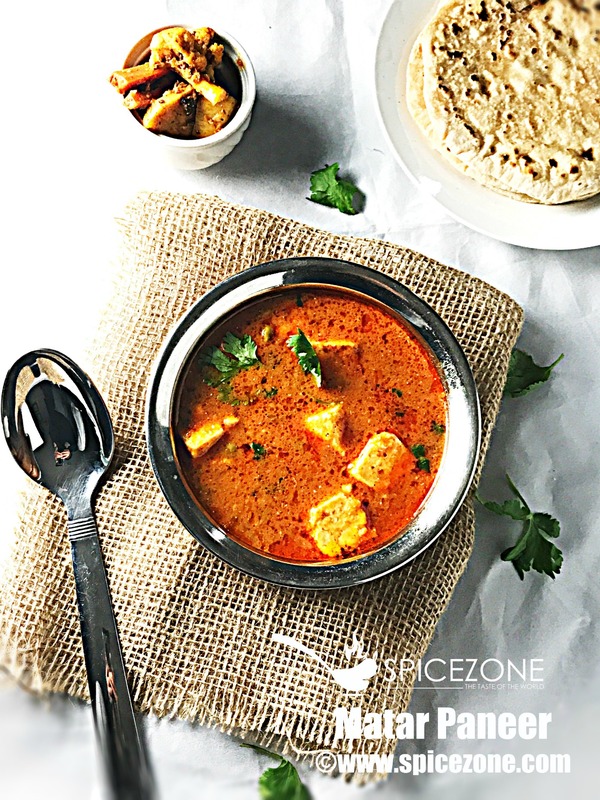 Matar Paneer is what is cooking in my kitchen.. A popular North Indian dish made with cheese and peas which is on most popular items on the restaurant menu. My recipe is not restaurant style so you can enjoy it at home without having that heavy feel to it. 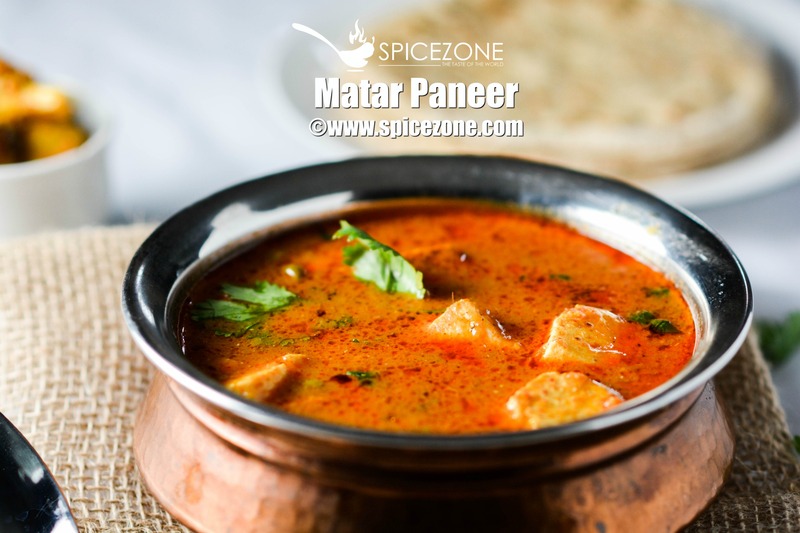 Matar Paneer is cooked in all Punjabi homes at least once or twice a month. Almost everyone enjoys the paneer dishes from little kids to adults. The choice is yours, enjoy it with chapati, rice or whatever you like. You can use homemade paneer or a store bought. If you are health conscious then don't deep fry the paneer, I shallow fried myself as it has less calories than compared to the deep fried. So my daughter goes what are you cooking mama… I am like Matar Paneer and she is not a big fan of peas but she is like sure I will have it. After dinner, I asked her how did you like it Simran, she goes it was awesome. And that's it, once your kids enjoy what you cook, it makes you feel so good. My daughter is my biggest critique when it comes to food. I am sure you all are probably thinking can we get to the recipe now….Sure, why not…Lets get to the recipe.. Shallow fry the paneer cubes with a tablespoon of oil and set aside. Soak the paneer in hot water. It will make the paneer soft. Now in a pressure cooker, add the other two tablespoons of oil, add the sliced onions and fry them until brown. At this time, add ginger, garlic, green chilies to it. Saute for a couple of minutes. Turn the gas off and take the mixture out in a bowl or plate and let it cool down. Now add the tomato puree to it and put in the blender to blend it. Blend it until the mixture is smooth. Add it back to the same pan and saute it on a slow to medium heat, stirring every couple of minutes to prevent it from burning. Once the mixture is sautéed properly which means its leaves the oil. Mix in the green peas frozen or fresh and stir it into the mixture. Saute for a couple of more mins. Add hot water or regular tap water. Close the lid and let it cook for 15 mins probably 2-3 whistles. Let the pressure release naturally. Open the lid, check the spice level and adjust as per your taste at this time. I added a little bit of whole milk to make the gravy a little thicker. Add as per you need. Also add paneer cubes to it and let it simmer for few mins on the stove. 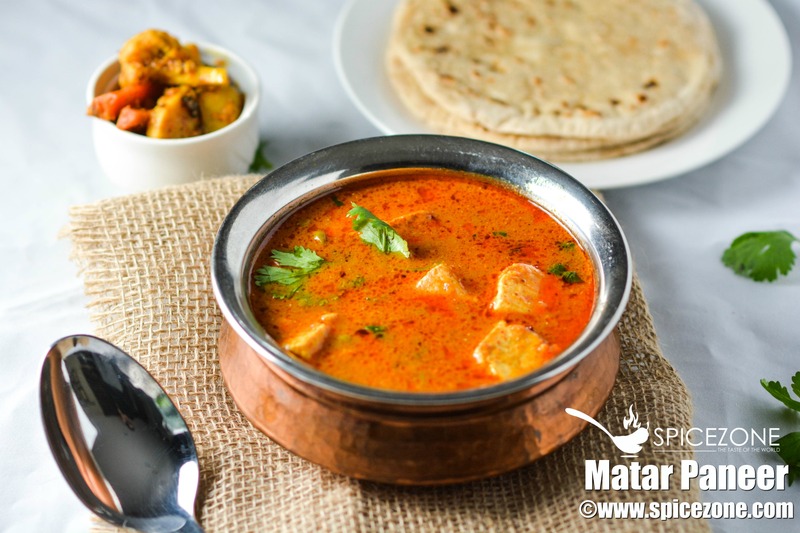 Your Matar Paneer is ready. Garnish with cilantro and serve hot with chapati or rice, whatever you prefer. 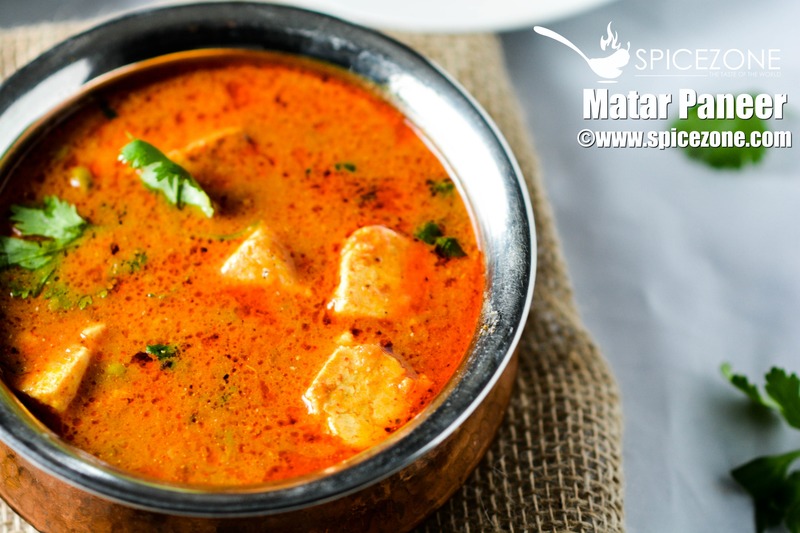 Matar Paneer, a popular North Indian dish which is on every Indian restaurants menu and can be easily prepared at home too. Open the lid, check the spice level and adjust as per your taste at this time. I added a little bit of whole milk to make the gravy a little thicker. Also add paneer cubes to it and let it simmer for few mins on the stove.